When Poly Vision takes an order from customers, a record will be created and information is gathered. The order will be submitted for processing after the customer provides the billing address, shipping address, and payment information. If there are any backorders, predefined discounts or any other conditions, they are applied to the order. A work schedule is established after the order is confirmed and each department’s work is discussed. A team of tooling and plastic injection molding experts evaluate the tooling designers prints and go through a checklist of parameters they are looking for prior to machining on the tool. 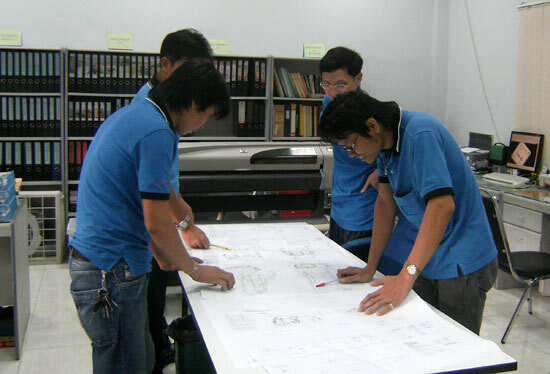 Tooling design review group evaluates and gives final approval. Raw Materials are stored in massive warehouse whenever is needed. 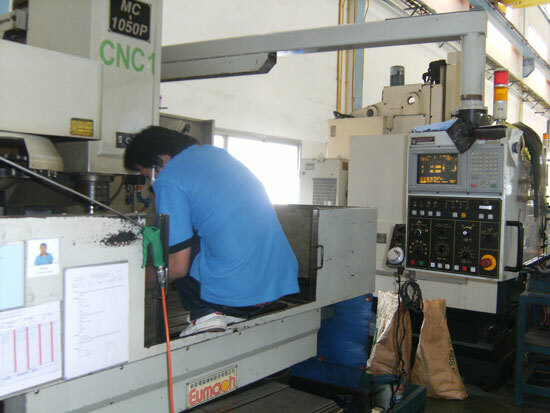 The lathe is a practicable method of performing milling operations in the absence of a true milling machine. The most common way of milling in the lathe is to use a vertical slide with a small machine vice attached. Poly Vision C.N.C. 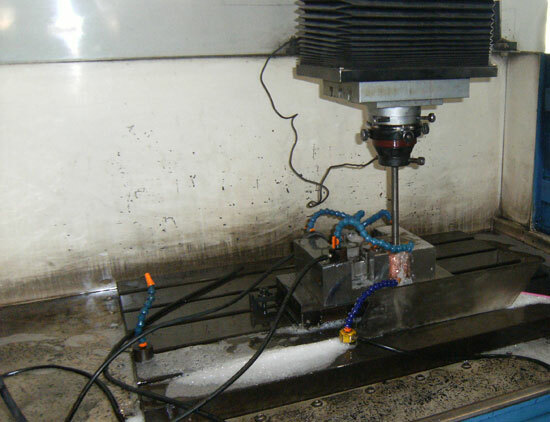 milling machine’s great working range (X:800 to 1800, Y:510 to 800, Z:460 to 700 (m/m)) provides a wide selection of products. EDM grinding is a mass-reducing process that uses a rotating conductive wheel to remove electrically conductive material by means of controlled, repetitive spark discharges. 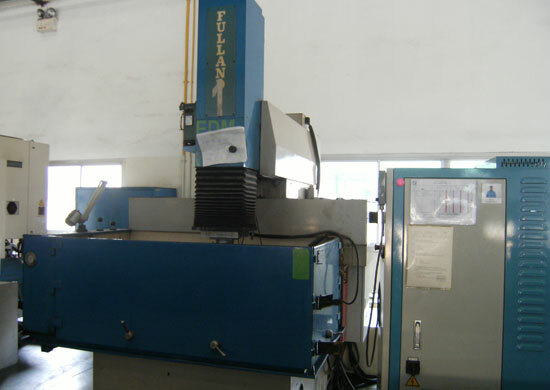 A dielectric fluid is used to flush away the chips, regulate the discharge, and cool the wheel and the workpiece. A combination between a excellent EDM and software is the assurance of a good work. Poly Vision continues to be an industry leader with a number of EDM machines. 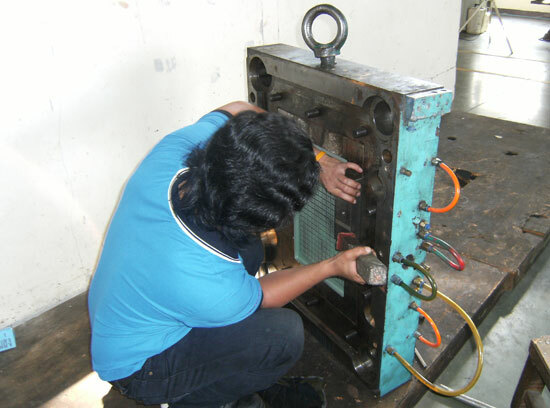 Mechanical preparation is divided into two operations: grinding and polishing. Fine grinding produces a surface with such a small amount of deformation that it can be removed during polishing. Diamond suspension or spray is applied in regular intervals during preparation. Consequently, a constant material removal rate is obtained. Polishing is carried out on polishing cloths. For diamond polishing, a lubricant must be used. The choice of cloth, diamond grain size and lubricant depends on the material to be polished. The first steps are usually done on cloths with low resilience and, for soft materials, with a low viscosity lubricant. For final polishing, cloths with higher resilience and a lubricant with high viscosity are used. This method of assembly has the advantage of easily and accurately joining together. Moreover, the sides must fit into the mold without any forcing. The final exam of the products to ensure the quality of each production. 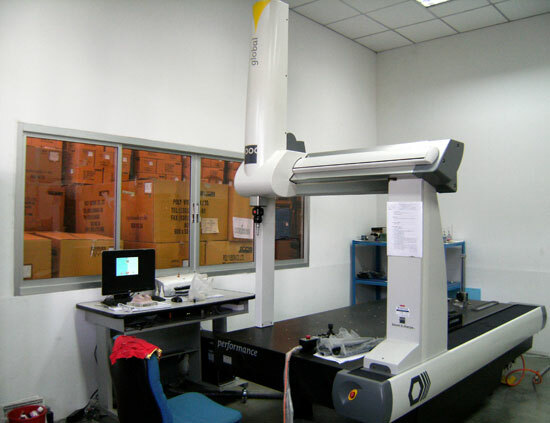 Poly Vision’s recent purchase of CMM is to make sure they got the job done properly. Poly Vision delivery team promises the productions are made on-time and delivered without delaying.